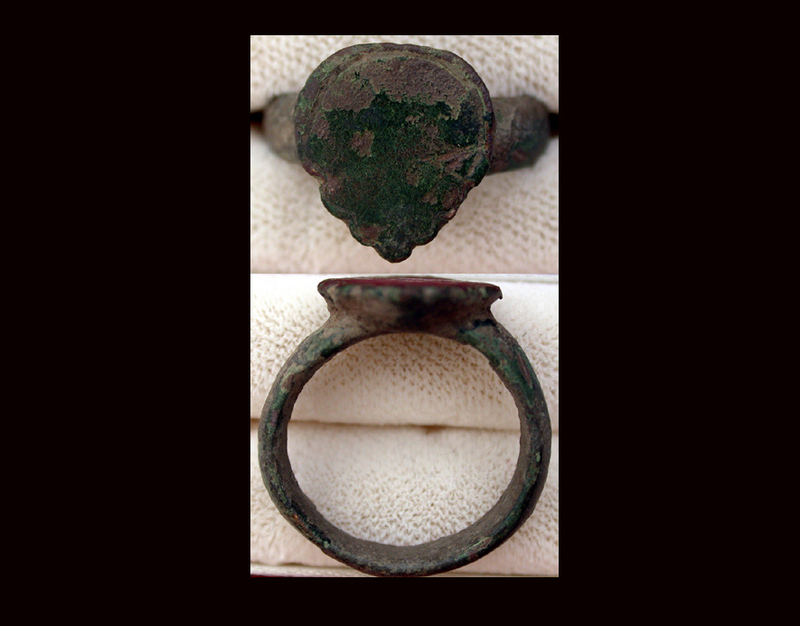 Con/ semi-cleaned and certainly wearable, this studly man's ring needs a happy finger! 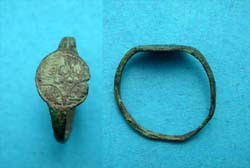 Seller's Note/ Such 'shield-type' rings were worn by knights! Rings were made to be worn, not tucked away. The longer this ring is worn the better it will look.